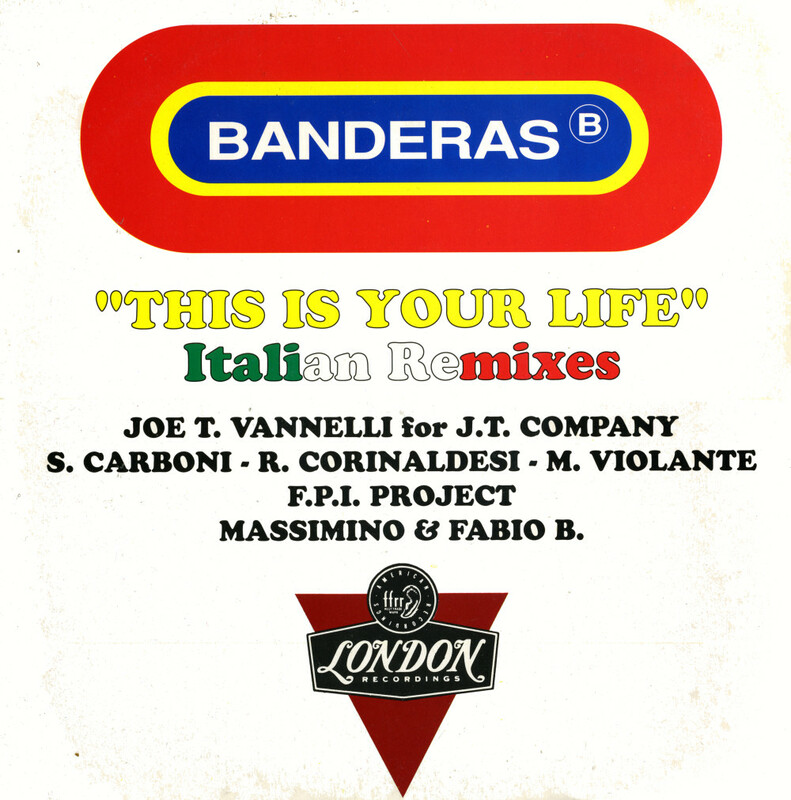 Although 'This is your life' by the Banderas was a hit in several European countries, I never realised there might me a local release of this track. So when I found out about this Italian 12" single, I was very surprised. 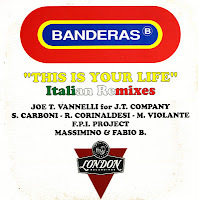 I collects four remixes of the track by four different Italian remixers, and they all have their own input on the track. It was great that I could buy this 12" single quite easily from the same website where I found out about it: the great discogs.com. To this day, I am still mystified as to why the Banderas only ever recorded one album. Their music was accessible, the voice of Caroline Buckley sounded a lot like Madonna's - except better - and their album 'Ripe' was one of the best records of 1991 - in my opinion of course. 'May this be your last sorrow' was the third and last single drawn from that album, and this promotional 12" single features one remix that wasn't included on the commercially available cd-single. The 'Jimmy Phensic mix' isn't that wonderful, but still, it's an exclusive track. 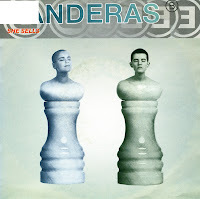 Sally Herbert and Caroline Buckley formed Banderas in 1991, after Herbert had been working as a backing vocalist with the Communards. Their debut single was 'This is your life', a track in which they sound quite like Madonna. The single reached number 16 in the UK singles chart and number 19 in the Netherlands. Although I have all of the band's 7" singles and cd-singles, I was quite surprised when I saw this 12" single today. It features three remixes not available on any other format. 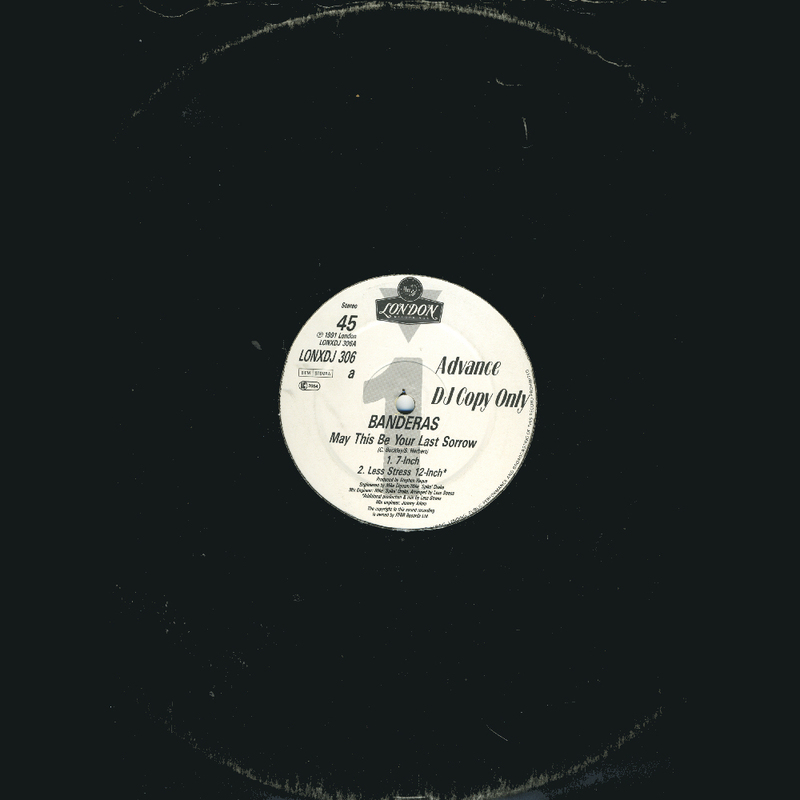 What's more, this particular 12" single was made in the USA for promotion only. Although the 12" was also released commercially, that's a nice bonus. The second single from Sally Herbert and Caroline Buckley, a.k.a. 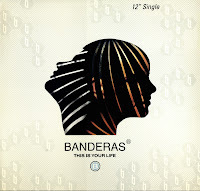 Banderas, was 'She sells', a song about women being exploited for advertisements. It followed up their successful debut single 'This is your life' (which appeared previously on this blog but was deleted for some strange reason). I bought this single some time after its release. 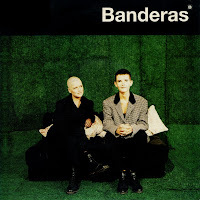 Before that, I'd gotten hold of Banderas' debut album 'Ripe', which caused my interest in their single releases. It's one of the best pop albums I have.